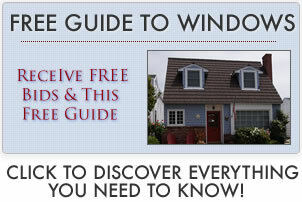 Get the information you need on Alside window prices, including their popular brands and models. Homeowners can spend anything from $225 to $450 for double hung windows which are fully installed. Many contractors worry about the Alside designs. One of the biggest problems includes the snap in sill instead of the much better designed welded sloped sill. The snap in sill can clog if exposed to excessive moisture and eventualy cause rotting and even warping. Explore more pricing with our replacement window cost calculator. When it comes to the Excalibur series, you either love them or hate them. The reviews are mixed, these are middle to lower end vinyl windows and the most popular of all the Alside models. The advantage is that there is less frame and more glass. Alside do stand behind their product even though their AI numbers tend to be on the higher end at 0.18. General reviews claim these are good budget windows for emergencies or rental properties, but not the choice you want if you are going to be living in your home for a few more years. » Comparable to the Amsco Studio Series. These are low end vinyl choices and are usually seen as a bad choice for any homeowner looking for a long term window solution. The window construction is not favored by contractors as they use the same size extrusion on four sides with a snap in sill, the frames aren’t durable or strong, but production cost is low. These are are however still thicker than the Excalibur Model with better numbers including the U-Factor which is 0.29. » Comparable to lower endSilverline window prices. The Ultramaxx is one of the window designs where contractors are mixed about, some believe they are a good choice at the right price but many contractors see these windows as poorly designed, especially when it comes to their pocket sill design. These windows are comparable to the Vinylmax Hyde Park window and is a good choice if your heart is set on Alside. These are high grade vinyl options with solid weather stripping and a sloped sill. The numbers are alright, not the best. You can expect AI numbers of 0.10, SHGC numbers of 0.28 and a U-Factor of 0.30. They are similar to the Gorell 5000 windows in terms of price and quality. » Comparable to lower endGorell 5050 series. The following Alside windows prices are from homeowners and past customers. Because each project is different, it is challenging to compare prices (see price factors for replacement products for a complete list). In addition, the initial prices you receive from companies will be higher than those below. So negotiate well but always use quality installers to insure that your investment is a good long term endeavor! Price included installed and additional work so installation was discounted. Price included local window company installation. Price bid received in 2010. Included installation from a local company. Price includes installation from local window company. Included professional installation with a contractor.